Being able to get around safely via transport is one of the most important and fundamental aspects of cities. This collection of solutions and blocks provides a quick summary of resources on this topic. 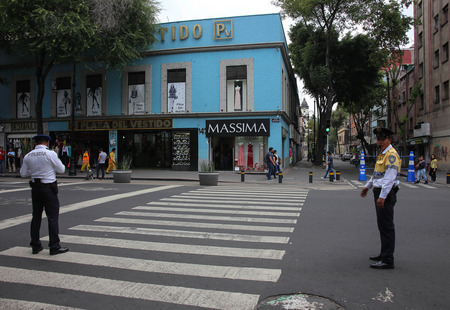 The government of CDMX, with the support of the Vision Zero Coalition, the Swedish Embassy, and the Inter- Amercan Development Bank (BID), is implementing Vision Zero CDMX with the aim of deterring the loss of human lives caused by traffic accidents. This initiative includes five elements: 1) road safety strategy, 2) road users training, 3) infrastructure that saves lives, 4) justice, and 5) creation of a single traffic control information system, the Vision Zero data system. Implementing the Vision Zero initiative has accelerated the implementation of other initiatives, such as Programa Integral de Seguridad Vial (Integrated Road Safety Program), Pasos Seguros (Safe Steps), Red por la Seguridad Vial (Network for Road Safety), and the pilot program Llega seguro (Safe arrival) in 13 schools. This goal of this initiative is to create a safer city for pedestrians and cyclists, to reduce the number of injuries and deaths caused by car accidents, and to encourage and support community participation in the development of a road etiquette. This solution addresses "siloed" decision making in Durham, North Carolina, USA for city professionals, environmental professionals, transit professionals, etc. This solution addresses gaps in understanding interconnectivity in cities internationally for regional/local governments, real estate developers, researchers, etc.